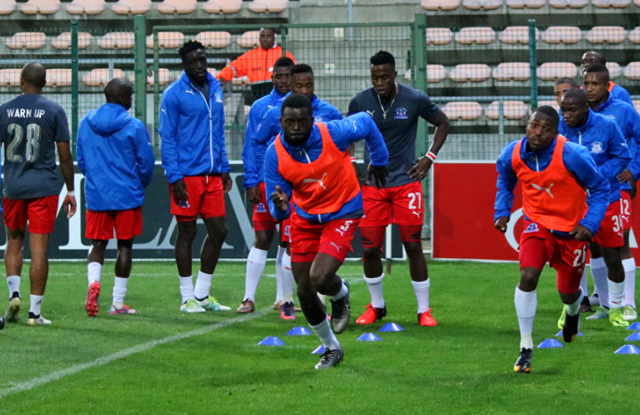 After three draws and a defeat in their last four matches v Pirates, the Team of Choice will be determined to put the record straight on Tuesday evening at the Harry Gwala Stadium. Maritzburg are ninth on the standings with 14 points, while the Sea Robbers are fifth, with 18 points. The game kicks off at 19H30 and is the second last home match of 2016, with Bidvest Wits to visit on December 20. Last season saw United drawing at home to Pirates in a 3-3 thriller, while the away game ended 1-1. That 3-3 game on January 16 was to tragically mark the final time Mondli Cele, who opened the scoring at the Harry Gwala Stadium, was to play for United as he was to later lose his life in a motor accident. The last time the Team of Choice beat the Buccaneers was in in Soweto in December of 2014; two years ago. Overall the sides have met 21 times. United have won five, three on home turf. Bucs have won 12 (6 home, 6 away) and there have been four draws. TICKETS are available at Computicket for R60, as well as at Supersave, OK Mini market in College Rd and the Club Offices on 397 Victoria rd. “The club is running a promotion where if you buy two tickets to the Orlando Pirates game, you get ONE FREE ticket to the WITS game on the 20TH of December,” commented Marketing and Communications Manager, Brian Zuma. Kick off is at 19h30.